Much board game discussion nowadays is around phenomenons such as ‘the cult of the new’ (the obsession with buying as many new titles as possible), ‘Kickstarter’ (much the same) and ‘one-and-done’ titles (such as legacy games, and games that have a single adventure you can only play once). But many of us have only a passing interest in these kinds of board and card games, instead preferring to have a collection of evergreen games you can keep returning to, getting better at over time (well, sometimes…) and enjoying becoming familiar with. I’d put myself somewhere between the two camps, but increasingly I find myself drawn towards the latter. Fewer and fewer games of modern times seem to leave a lasting impression on me (while still being enjoyable), and I’ve purposefully tried to deal with by acquisition disorder this year with great effect; my collection hasn’t grown at all and I’ve in been asking publishers for fewer review copies. In the past few weeks I drew up a list of older owned games I haven’t played in 2017 to date and the result was depressing – so many great games! 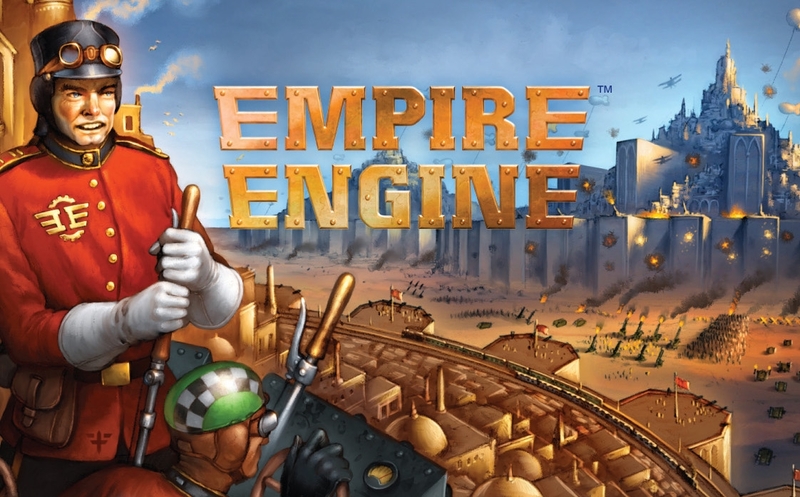 so as I’ve started to tackle that list, I also took a look back at the games that really endured in my collection since I started recording my plays on Board Game Geek (BGG) back in 2008. So what titles have stood the test of time – and why? This is actually top of my BGG ‘played’ list, but as it’s actually made up of 100+ different games it doesn’t really count – but seemed worthy of a top 10 place all the same. If anything this deserves to be here because it shows how enduring (in more ways than one!) game design has been for me since I began to dabble back in 2012. Some of those 400+ plays have been absolutely excruciating, others exhilarating, others crushingly depressing – but some rather good games have come from those sessions (mostly from fellow Cambridge testers Brett Gilbert, Matt Dunstan, David Thompson and Trevor Benjamin) and it has been a privilege to part of that. A permanent fixture in my Top 10 favourite games (currently at number three), this fun family game beautifully blends a first half of hand management and mild area control with a second half of tile placement and grid movement – managing to work in strong player interaction and screwage in a way no one ever seems to get upset by. I’ve played it at least a few times every year since picking up back in 2011 and have enjoyed it with everyone from serious to non-gamers. It has the added advantage of changing in control depending on player number; so is frenetic and unpredictable tactical game with four or five, but can be quite a serious strategic proposition with just two. And what’s not to like about sacrificing other players’ people to a volcano – especially when you can pop a tealight in it for extra atmosphere? I’ve grouped these two together as, while very different, they tell a very similar story in terms of their places in my collection and gaming history. Both were picked up around 2010/2011 and became favourites of my former partner Zoe, hence the high number of plays. Both come in small boxes, cost less than £20 and play fast – as well as both having a strong push your luck element. They’re also both still in my collection and can’t see myself getting rid of them at any point – as they’ve also gone down with the majority of people I’ve played them with. 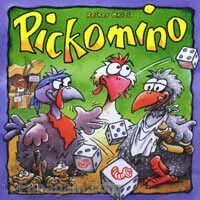 Pickomino loses a bit of charm with four players, as it can be a bit boring between turns, but otherwise both work well at all player counts. Overall, I think Archaeology is the better game; you certainly have more control over your actions. But who doesn’t love throwing a bunch of dice – especially when one side has a cutesy worm on it? 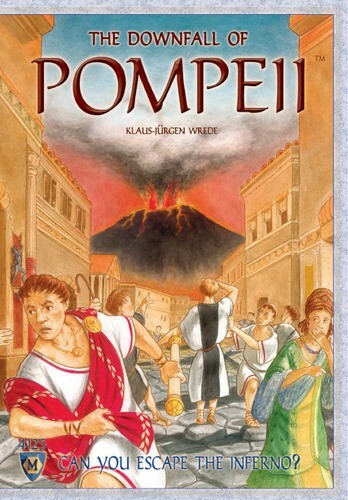 Both games have also been improved in recent years; Pickomino by a clever expansion and Archaeology with a reprint that adds some clever innovations to the original. Again, both games are on my top 50 games list. I picked up Carcassonne in 2009 as one of my first games and it got a lot of plays through to 2012, when a bit of research led me to buy Carcassonne: Hunters and Gatherers rather than spending out on a bunch of expansions for the original. H&G takes a few ideas from earlier Carcassonne expansions and makes a standalone game with them; and I think the combination makes a great version that is all I really need. It’s not a game I play that often and this scratches the itch. I do love a simple tile-laying game and this makes a lovely looking board as you play. It’s a solid game to play with non-gamers too, but has a little bit of extra depth available when you play with more experienced gamers. It’s no longer in my Top 50, but it isn’t that far off and I can’t see myself parting with it. And an honourable mention here for Maori (21 plays and in my Top 50); a tile-layer with a similar length and feel which I simply prefer to Carcassonne. 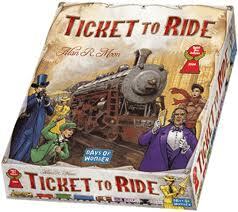 It has several variants in the box depending on the level of your players and also works as a gateway game. It doesn’t get as many plays as it used to, but is still solidly in my top 20 and is probably my favourite abstract game. The rules are simple and you can teach it to anyone, but there’s plenty of depth for the serious gamer – especially at lower player counts. I love a game with a great tipping point and this does it brilliantly; you need to spot just when to start defending – or attacking – and hope your opponents don’t see your play in time. And an honourable mention here for Blockus Duo (28 plays) – the other game I first picked up alongside Ingenious back in 2008. 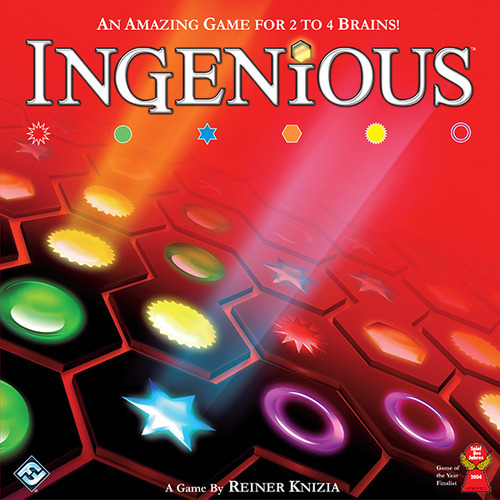 For me it has slightly less charm than Ingenious and while I still enjoy it, I have to be in just the right mood (I’ll play Ingenious any time). But it’s a really good game if you like strategic abstracts with simple rules. Another permanent fixture in my Top 10 games, Ra was a relatively early addition to my collection back in 2010 – at which point it was already more than 10 years old. But boy has this stood the test of time. It’s a bidding game but a rather unique one, where you have a very limited number of bid attempts but a fascinating push your luck mechanism driving when to start each auction. But better still the game is simple and accessible. In each auction you’re drawing what’s available from a large bag of tiles, meaning every game really does feel different despite its relatively simple scoring and rules system. Sadly it isn’t for everyone, hence a drop in my plays of late, but I’ve never failled to have a good time playing it – whether winning or coming in spectacularly last. This would probably be higher if I included all the ‘unpublished prototype’ plays it got before having a publisher, or even a name. I have no idea how many of those tests were of this, but it would probably double this number. While it didn’t exactly set the board game world on fire I’m still really proud of my first design, which I worked on with Matt Dunstan. And due to its tiny size I can always have a copy in my bag – so if anyone wants a game, it is always to hand. But more importantly I always enjoy my plays of it. I guess it shouldn’t be a surprise that I designed a game I’d enjoy playing, and it is a bit embarrassing bringing out your own design if someone asks to play a game, but if people ask who am I to say no? This was another 2010 purchase for me, just over a year after it was released. While fiddly to set up it packs a lot of variety into the box, while being pretty simple to teach to even newer gamers. It was the first ‘deck builder’ game, where you start with a deck of just 10 cards each and then buy better cards as you go to make it stronger. But the trick is that victory point cards will win you the game, but clog up your deck – so you have to start buying them at just the right time. This blew us away when our group first got it and we played it to death that year and the next; but an unfortunate expansion choice (Alchemy) added nothing to the game and plays started to dwindle. It now gets about a play per year, as I prefer to get my deck-building fix from games where it part of the game, not all of it – such as Concordia or Copycat. It has slipped from my Top 50, but again I can’t see myself parting with it. In fact, if I find a group/friend that enjoys it, I’ll probably pick up an expansion in the hope of breathing life back into this classic. I got the original Ticket to Ride (USA map) for Christmas in 2009. I’ve played that version almost 50 times, while I’ve added three expansions to my collection since and played several other versions multiple times. And with the exception of the recent Rails and Sails, I’ve enjoyed every single play. It is comfortably my gateway game of choice and I’ve enjoyed introducing it to a long list of non gamers who have all enjoyed themselves, many going on to get their own copies. It is a simple set collection card game with a simple route building board game on top – and it works perfectly. There’s also a brilliant app implementation for phones and tablets, so it is now also a staple of long train or plane journeys too. It has a permanent place in my Top 10 games but as it seems to end up on most om lists, I’ll stop going on about it here! I guess it shouldn’t be a surprise that my number one and two ranked games are also my number one and two most played games, but not everyone is so lucky: in fact, only four of my personal top 10 favourites have made this list. But I was lucky that the two guys I played most games with between 2009-2014 also fell in love with this one. A string of poor expansions hasn’t helped Race in recent years, and neither did a geographical move away from my old group; but I still managed seven plays last year and five so far this – still more than most other games. 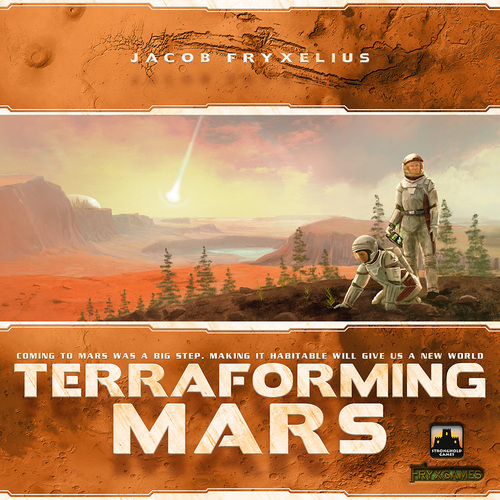 Although Terraforming Mars is threatening to take its crown, despite being three hours long rather than 30 minutes. Race is also the only game in this top 10 I wouldn’t try and teach less experienced gamers. While at its heart this card game has a relatively simple action selection mechanism, the sheer weight of complex symbols on the cards are a huge barrier to entry – but oh my, is it a barrier worth getting over. I was surprised at how few games I’d played 20 or more times, seeing as I’ve been obsessing about games for almost a decade now. But here’s the rest that have hit that mark. 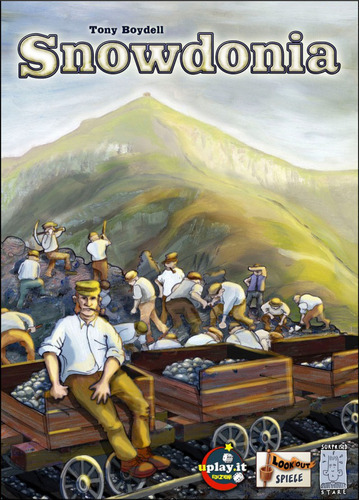 Snowdonia (25 plays) is notable for being my most played game with a BGG complexity rating above three out of five or higher (Race for the Galaxy is just below, but probably shouldn’t be). Macao is just behind on 23, but was a 2010 purchase (so only about three plays per year). Guillotine (24 plays) and Stone Age (21) are the only games I’ve played more than 20 times that I no longer own. I actually still enjoy both and would happily play them, but they just weren’t getting played anymore so ended up being traded away for newer, shinier titles. Both good games though. That just leaves Can’t Stop (27 plays), Thebes (22), Alhambra (25), Love Letter (25) and Kingdom Builder (21) – all great games with what I expect to be permanent places in my collection, despite only the first two still being in my Top 50. After Macao, my next most played complexity 3+ games was Tzolk’in (17 plays), while Through the Ages (14 plays) is the highest 4+ complexity game on my plays list. But if I’d left this list for a few more months, Terraforming Mars would surely have made it: it’s already up to 13 plays and counting, and I’ve only had the game for a couple of months. So what are your most played games and why? I always like to hear what you lot are playing, so let me know here or on Twitter.